Do you ask yourself right questions? The ability to ask yourself right questions is a key to success for every company. Such ultimate questions allow companies to track promoters and detractors, creating a candid company image in the client's eyes, and to define its overall position within the market. 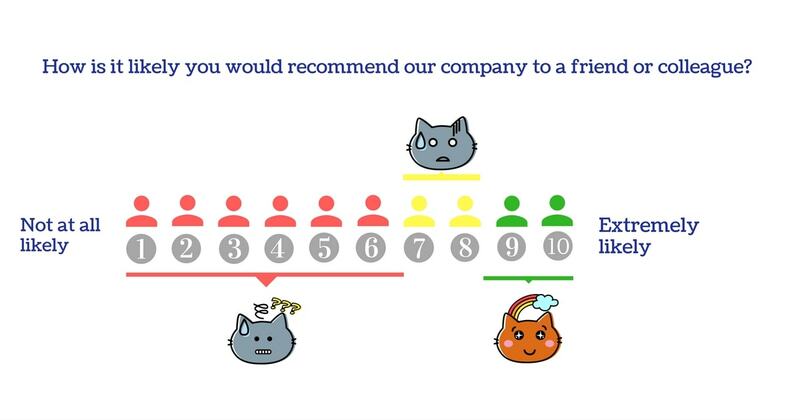 That is what we call a Net Promoter Score (NPS). It has been proved that sustain value creators (companies that achieved long-term sustainable growth within the market) have two times higher NPS compared to the average companies. Moreover, the leaders of Net Promoter System show rate growth twice higher than their competitors. Promoters – loyal enthusiasts that are constantly returning to buy company's product. They share their positive experience with their friends and colleagues, and therefore convince them to do the same. Passives – satisfied customers that lack enthusiasm. They buy company’s product, but can be easily stolen by the competitors. Detractors – unsatisfied customers that had some problems with the company's product. Therefore, they have a negative attitude towards the company and can potentially spread their view within the market. The current categorization can be applied to any group of clients through asking them the ultimate question. So how we can measure the overall company's effectiveness? Such evaluation can be done by subtracting the percentage of detractors from the percentage of promoters. This equation is how NPS is calculated. It is a proven metric is now used in great amount of companies. The aforementioned scale type has been chosen because it is clear, understandable and customer friendly. It demonstrates the division of clients into three main groups on the basis of ten-grade evaluation. The following group clustering is based on different attitudes, behavior, background and economic value. This group consists of the most loyal fans of the company. They are returning clients, enthusiastic about the product, completely satisfied with it. 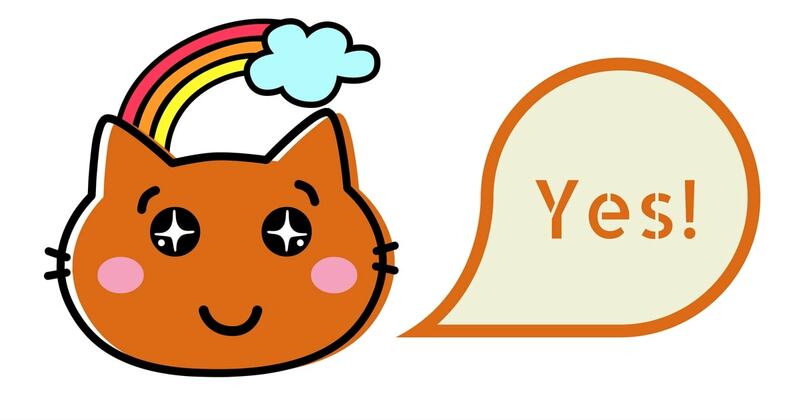 They are promoting the company to their friends and colleagues with positive feedback. This type is the most likely to remain your clients and increase their purchases in the future. This group composes over 80% of all referrals in the majority of businesses. As a rule, this type of clients is the best for the company managers to communicate with. This group of clients is referred to as “passively satisfied” because their satisfaction is a momentary feature. There is no guarantee that these people will remain your clients in the future. There is less than 50% possibility that they will become your returning clients or promote your company to other people. Their referrals are defined as less enthusiastic. Their most precise characteristic is: if they will see an advertisement of your competitor, they may go over to their side. This group consists of unsatisfied customers. Such customers produce negative feedback, and, unlike Passives, they are never enthusiastic about it. Detractors create over 80% of all negative word-of-mouth. They have the highest rates of churn and desertion. Although some of them might in fact appear to be profitable from the accounting point of view, still their negative feedback produces a lot of harm to the company's image and diminishes its positions in the eyes of potential clients. It is impossible to prove all those people that you are not guilty in case they are already aware of the detractors’ opinion. Such strategy also demotivates company’s employees and therefore destroys it from the inside. Net Promoter Score can be easily calculated and therefore it is possible to regularly track it and compile to see whether you have chosen the right direction for your business development strategy. However, NPS can also be applied to separate projects, products or teams within the company. It can track different customer groups, geographic segments, functional groups, etc. It helps each team focus on a particular target and therefore move towards getting more promoters and less detractors by any possible means. Of course, for every separate department these means are different. Therefore, such technique can be called a company’s customer balance sheet. The role NPS plays in the process of client analysis is great; however, it is more than just a score. Specialists that practice NPS go further in their research: they continue to work with the respondents, asking clients about the reasons of their rating. To receive more detailed results, they use unstructured, broad questions with an opened conclusion. This provides employees with an opportunity to receive a broaden, written with their own words feedback from customers everyday. Then, this feedback is collected, analysed and structured to be then built into the company’s operating system. It is done to make them able to respond to the main problems and desires of the customers and also stimulates elaboration of new innovations and generates more promoters. This closed loop system allows companies to find new ways of improving their product through working with various processes, people and pricing policies within the company. Calculating Net Promoter Score can also be used for the intensive brand management. Use this system to get full understanding of how your clients perceive your brand. NPS is a leading indicator connected with rates growth, which makes it a perfect tool for elaborating a customer experience management (CEM) program. For sure, NPS has to be followed by other supporting points that mark the customer’s journey when working with the company. This will give you a detailed, comprehensive view of your customer experience performance. 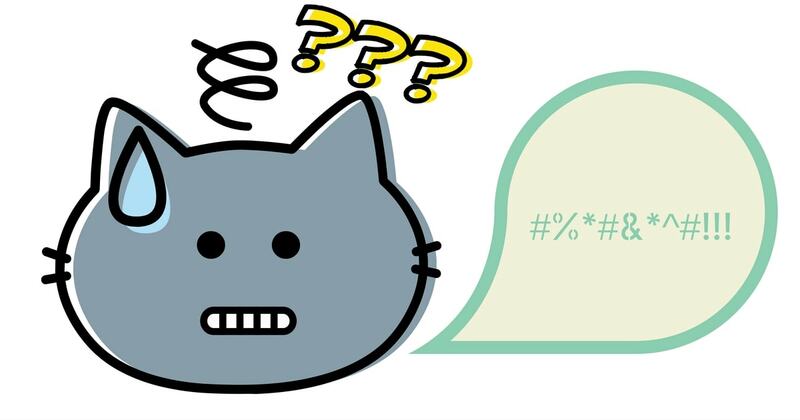 When you use a traditional customer survey, you give сlients a number of fixed questions and answers, transforming their feedback into something you want to hear, not something they want to say. Acting like that, you will never get the real answers you need to hear. 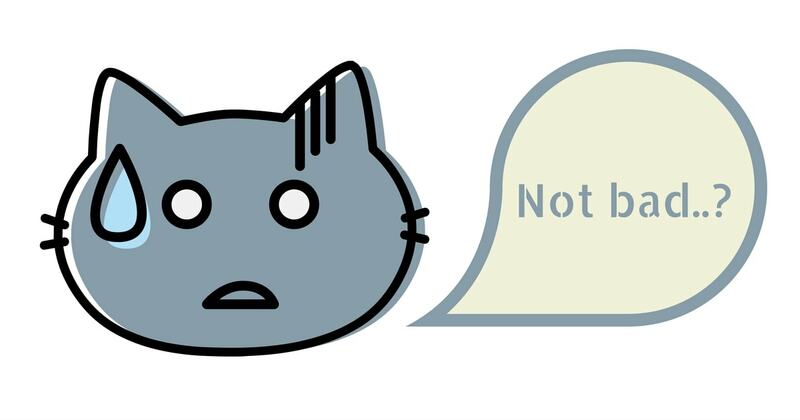 NPS gives customers the ability to speak in their own words with their real emotions—a benefit that can never be achieved with a standard number of answers that are unable to transfer real feelings and the information hidden between the lines. When you fully integrate Net Promoting System into your company's workflow, you receive a full cycle of constant improvement for your product. Your team will easily adapt to the new calls of future trends and immediately measure the impact of these innovations and the feedback comapny receives from the clients. All of the aforementioned facts support the high value of using NPS as the basis for overall business development strategy. For sure, such process can be improved through systematization and optimization. There are several services that are currently working on reducing churns automatically through integration into the company’s software network. To see what these services are working with, let's have a look at SatisMeter— a useful and well-organized service that we liked most. SatisMeter is an advanced feedback platform that organises the process of working with NPS data for companies of all scales and industries. This allows company to have an all-time access to the customer’s feedback on the received products. SatisMeter implements NPS to measure scores and their impact on business performance. The platform has a series of additional features that allow gathering and analysing data from one location and accelerating ROI growth. The platform successfully inherited the overall NPS philosophy, being one of the most simple services. It is extremely user friendly and easy to understand, and it does not require a separate specialist to overcome the complex challenges of learning to support clients. The whole interface is built in such a way that the process of learning is intuitive with a number of useful functions that are established on the site and can be reached in one click. This platform perfectly integrates into the company's network. The key advantage of this platform is that it allows companies to follow and respond to all customers’ issues. Moreover, it is possible to use agent data to build a detailed case database. The Net Promoter System analyses information received from all channels just after its arrival in the base and distributes tickets among agents choosing the most appropriate specialists for each case. 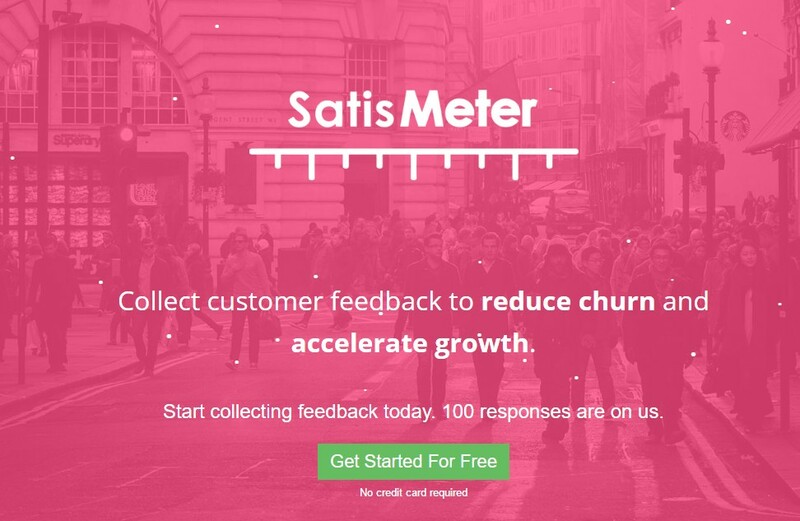 SatisMeter is a cloud-hosted platform with a 24-hour support. The system collects all information from customers considering the level of their satisfaction that allows to form a clear definition of what they think about the service and why do they think so. In addition to incredible design that makes service as easy to use as possible, platform developers made the overall integration process super optimized. SatisMeter does not require a complex installation – it fully integrates with the company's network, keeps all data in the cloud and also has a mobile version that makes it easier to work with it. Moreover, it has multiple lingual versions and real-time analytics. As any other CRM platform, SatisMeter clearly highlights three main problems to be solved with service’s help. All of them are closely connected with client management and NPS growth. 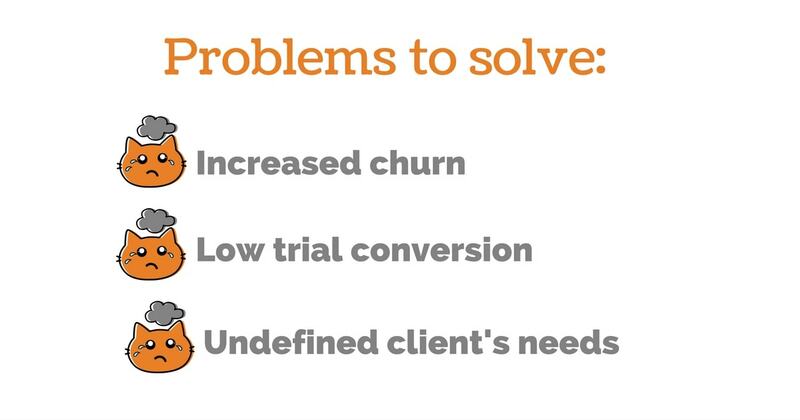 High churn rates is a scourge and the main pain for all contemporary SaaS projects. To reduce churn, company has to not only constantly track the feedback from customers. Satismeter contacts those customers who are already churned and analyses their responses. As service is easily synchronized with many other platforms, it can send the received data to Slack, CRM, Intercom, Marketing and Support tools. This allows all team members to be aware of the data and contact unsatisfied clients to solve their problems before they churn. Moreover, it is possible to operatively reshape marketing campaign in accordance with client demands. 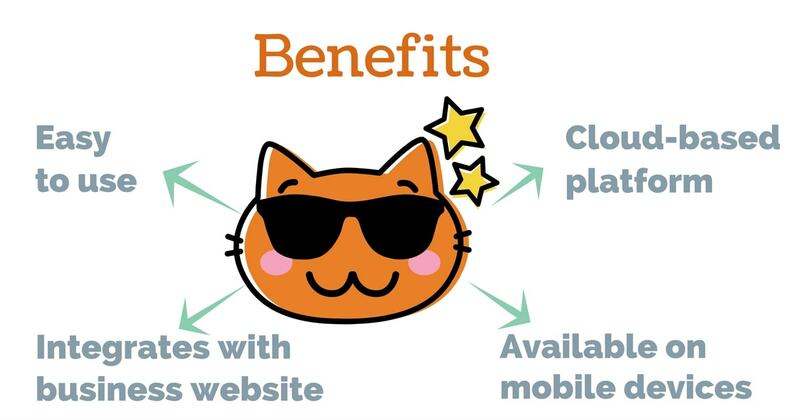 Providing users with free trial versions or freemiums, services try to attract more clients, spread the information about their service and demonstrate their benefits. But even free users are a good source of information. In the end of trial period, system gathers users feedback and evaluates the level of their dis/satisfaction. Then, it automatically chooses the most suitable response letter offering a discount for less impressed users, prolongs free trial period for those who did not have time to experience all benefits, sells an advanced package to the satisfied ones and contact those, who were seriously dissatisfied with the service to reveal the reasons of their negative feedback and solve their problems. All feedback is collected and analysed to reveal the general client attitude, highlight the main weak sides and define the strong ones. It is extremely important to give the microphone to the client to receive a detailed opinion. Satismeter gathers all insights and send them operatively to the team. The service asks users questions just inside the product and share this feedback within the whole company. Therefore, everyone in the company knows what customers think about their product and can operatively react to both positive and negative insights. 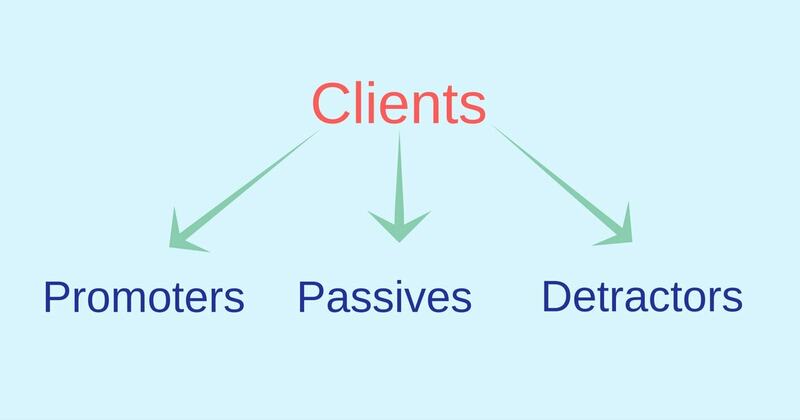 Net Promoter System is a set of clear and concise techniques and simple calculations aimed to provide companies with the most precise review of customer's satisfaction. NPS is a basis for the development of effective marketing strategy that will reduce churns and expand the existing client base. One of the main aspects of working with NPS is its full integration into the overall marketing strategy of the company. It has to be tracked systematically, sending all fresh feedback to the team, analysing data and adapting marketing strategy to the new client demands. All these processes can be controlled through integration of a specific software platform. Such platforms are currently used within the serious number of companies. SatisMeter is one of such platforms. It’s unique feature is extreme ease in integration and use. It is necessary to understand that there is no perfect service in CRM sphere that will solve all your needs and meet all your requirements. There is wide range of different business types of all sizes and ages, coming from different industries. But the aforementioned analysis of the role of NPS in overall marketing strategy and how it can be optimized with the help of networking platform shows the way to get as close to perfection as possible.